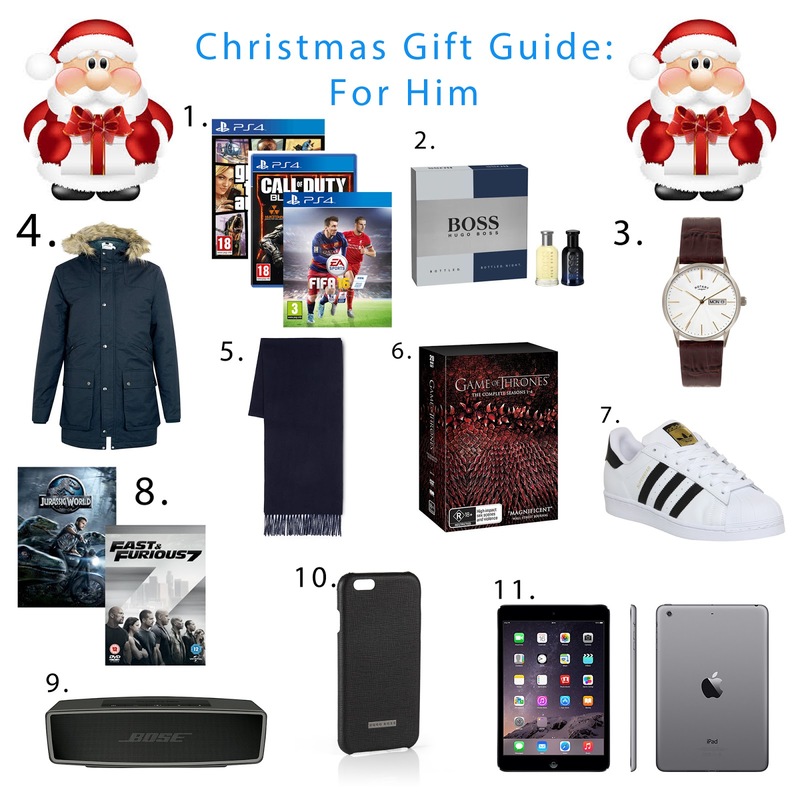 Following on from my last gift guide for her, I thought I would also put together a gift guide for him - I find it a lot harder to buy gifts for the boys so I thought it would be helpful to put a little guide together to help you guys who are struggling as well. Luckily for me, my boyfriend is pretty vocal when it comes to what he would like for Christmas, but I do also like to surprise him with some unknown gifts too. Hopefully this guide has helped you a little bit and given you a few ideas of what to buy if you're stuck for ideas! I know that there aren't many cheap items on this guide but I did struggle to find some cheaper ideas so I would love to hear your suggestions too if you've managed to find some budget friendly options. Think this would be my boyfriends dream list! He would definitely agree that you've got some great picks here! Especially Game of Thrones boxset!